Fernie, BC folk-pop fiends Shred Kelly stirred up a lot of interest over their 2012 sophomore LP In the Hills, and now the outfit are capitalizing on the attention by taking the songs out for on a cross-Canada tour. The band's upcoming trip kicks off May 30 in Waterton, AB, and the act have a number of club and festival dates booked up to August that will have them heading out east towards the Maritimes and then back out to BC. Along the way, they'll team up for a string of dates with Ottawa's Loon Choir, among others. You can see all the details down below. 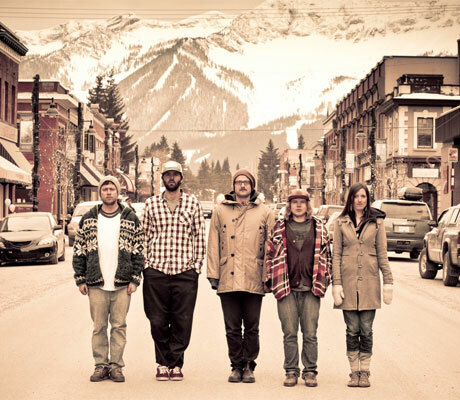 Shred Kelly were recently nominated for a number of prizes at the Kootenay Music Awards, including Artists of the Year, Best Folk/Country Act, Best Live Act, and Song of the Year for In the Hills' "The Bear." To further promote the latest LP, the quintet have dropped a video for that same track, and you can see the clip down below. 7/11 Charlottetown, PEI - Baba's !